The Thursday before the Victoria day long weekend (May 2-4, for us canucks!) 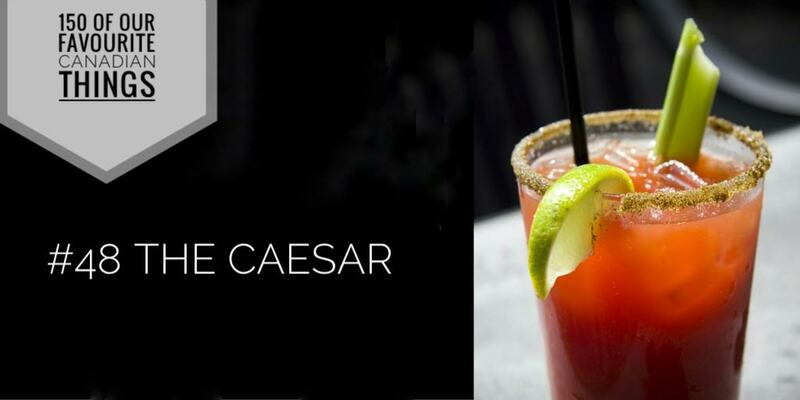 is National Caesar's Day, the unofficial start to summer. For the uninitiated, a Ceaser is the "clammy" sister of the Bloody Mary consisting of vodka, Clamato juice, hot sauce, and worcestershire sauce. The glass is rimmed with celery salt and garnished with a stalk of celery. Why? : Walter Chell created the caesar recipe in 1969 as a signature drink for the opening of new Italian restaurant in Calgary. The caesar drink was meant to reflect the flavours of spaghetti alla vongole – spaghetti with clams and tomato sauce.